working across private, public and third sectors. He regularly engaged with senior political leaders, civil society organisations and companies as an adviser, strategist and consultant. As interim chief executive of a public sector charity, he continues his work as a community organiser to improve the lives of disenfranchised communities. Previous roles include group head of diversity for a leading housing organisation in the south of England. Mohammed is an accomplished public speaker, strategic adviser, consultant and thought leader on matters ranging from organisational change and development, political engagement, diversity, community affairs and public policy. Mohammed has served on a number of boards including a regional interfaith organisation and educational and governance. He is a regular and in demand speaker at conferences, seminars and events. Previously serving as founding Chairman of a multi-strand UK equality forum, Mohammed moved into consultancy after a successful career in banking and financial services. His professional history includes award‐winning equalities, diversity and inclusion work with FTSE 100 companies, and he has helped to establish pioneering cross-sector work with faith groups and government agencies. Mohammed has worked on strategic financial inclusion looking to address socio-economic exclusion and providing strategic planning, consultation and advice. As a legal advocate, he has presented before the Royal Courts of Justice on a number of occasions. 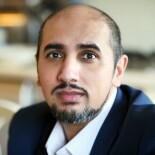 In his role as a Select Committee member, Mohammed has scrutineered a £900m Children’s Services budget and helped to develop work with groups on religious education, diversity and inclusion and focussing on raising standards on achievement and educational attainment for traditionally hard to reach and marginalised groups. Mohammed’s pioneering work on the prevention of violent extremism across all communities, has lead to work with national, regional and multiple local governmental departments, and developing strategic community engagement strategies. An adviser on strategic communications, organisational development and engagement, Mohammed continues to focus on diversity, interfaith, financial and socio-economic exclusion and child poverty. ​Outside of his work, Mohammed is an ECB qualified cricket coach and a passionate advocate of the women’s game, and has been head coach for girls cricket at a successful club in Hampshire winning cup and league titles.